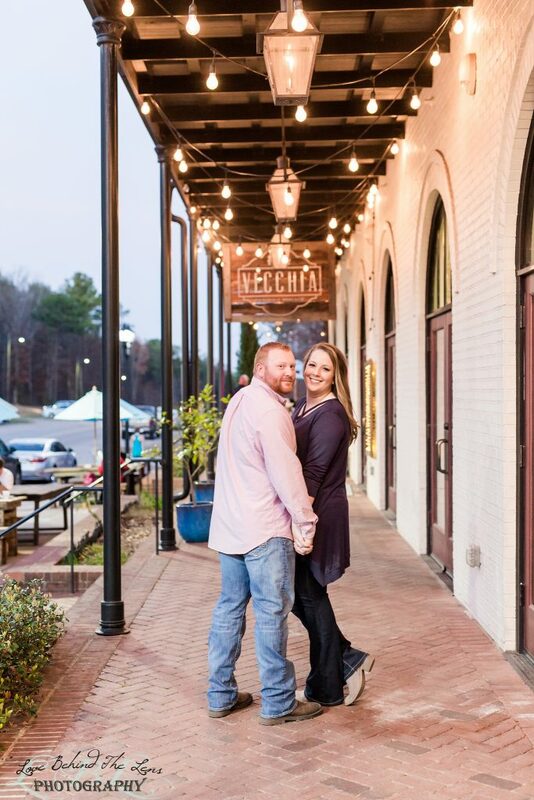 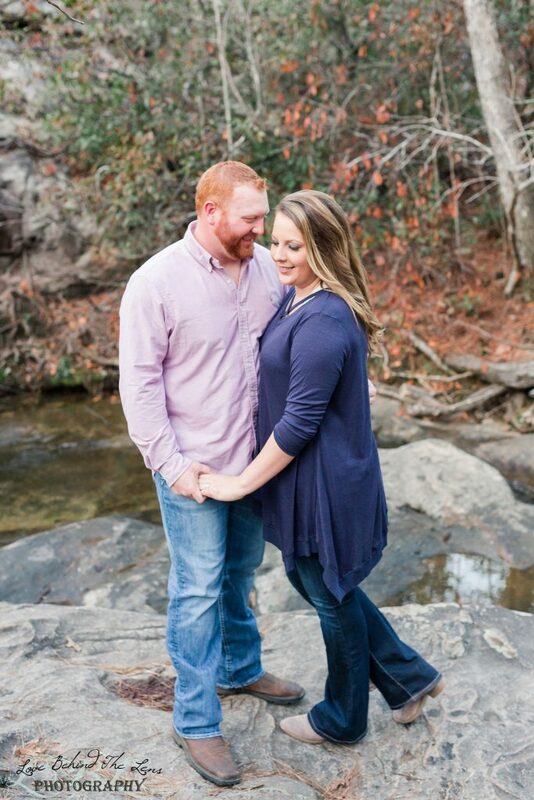 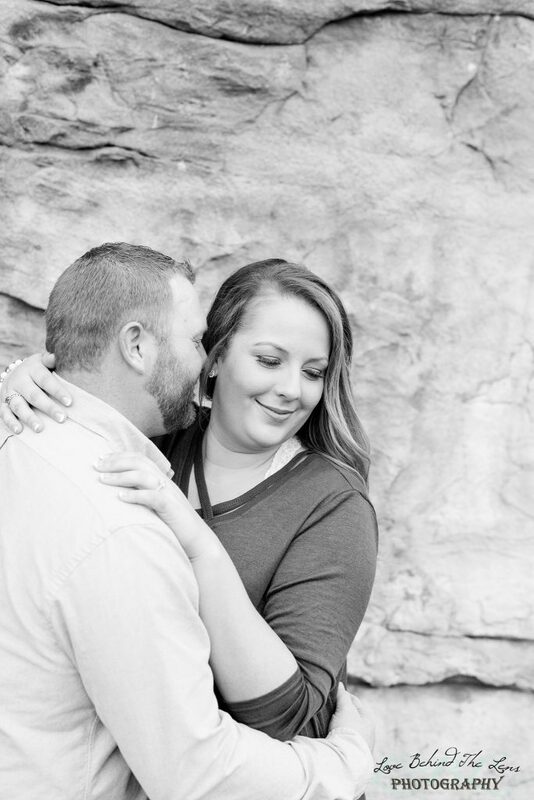 Ashleigh and TJ are highschool sweethearts and have known each other for over 12 years! 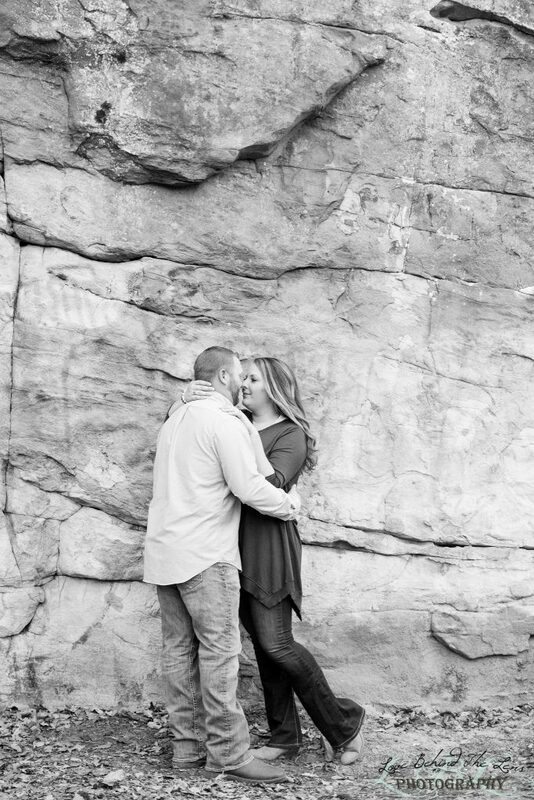 You know that we love lengthy dating couples since we ourselves were “long term daters”. 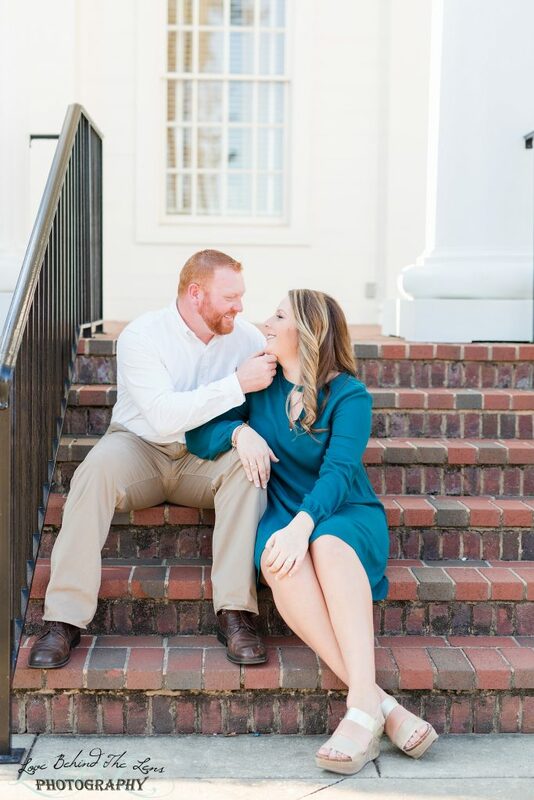 It is clear just being around these two that they are so comfortable with each other and know each other to a tee. 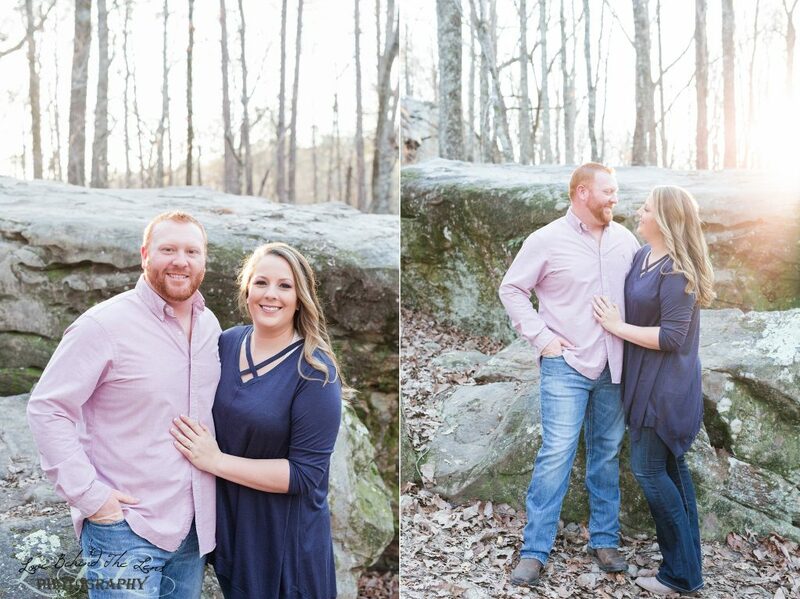 They claimed that they were “No good at pictures” but about 10 mins in they were absolute pros! 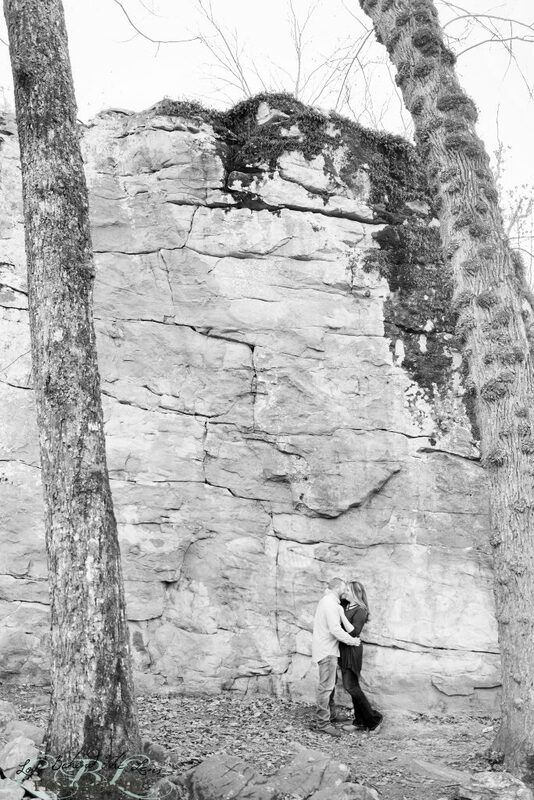 They were interacting so naturally it was like we weren’t even there. 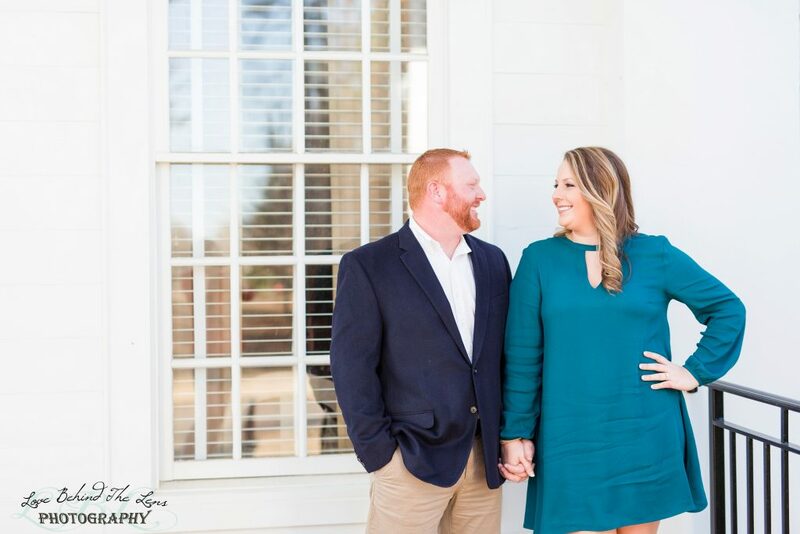 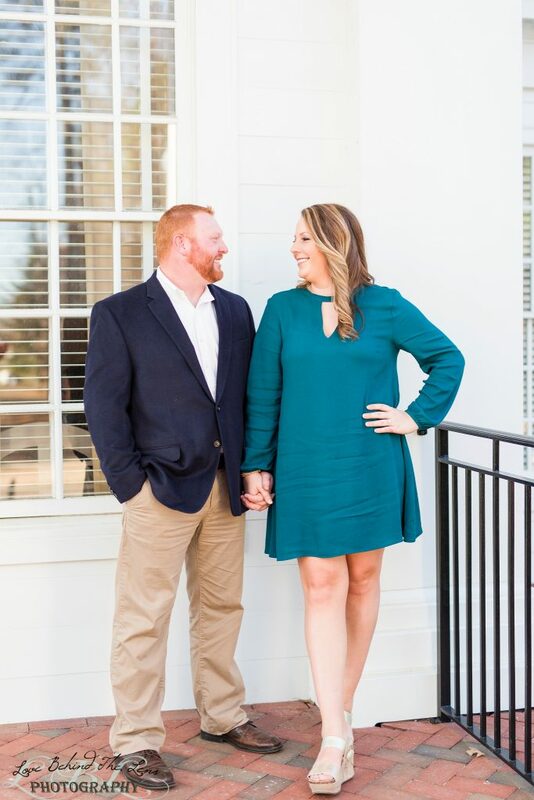 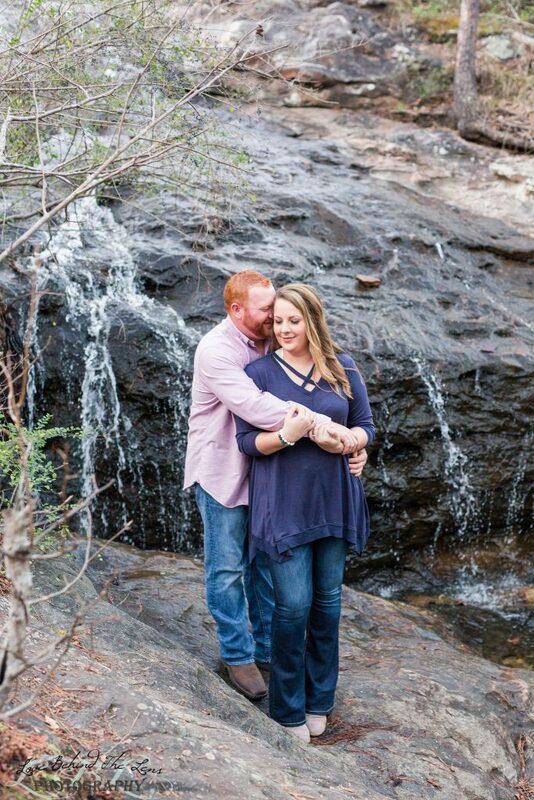 Ashleigh is a nurse at UAB and TJ works as a coach for Walker County Highschool. 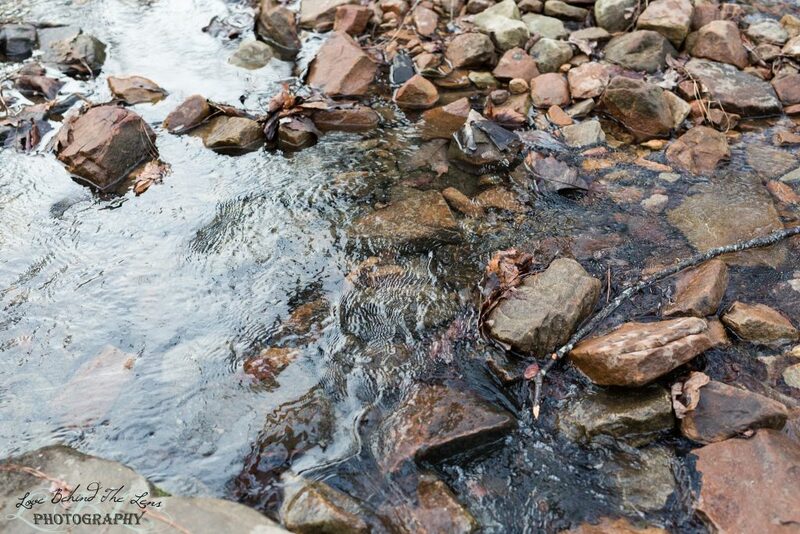 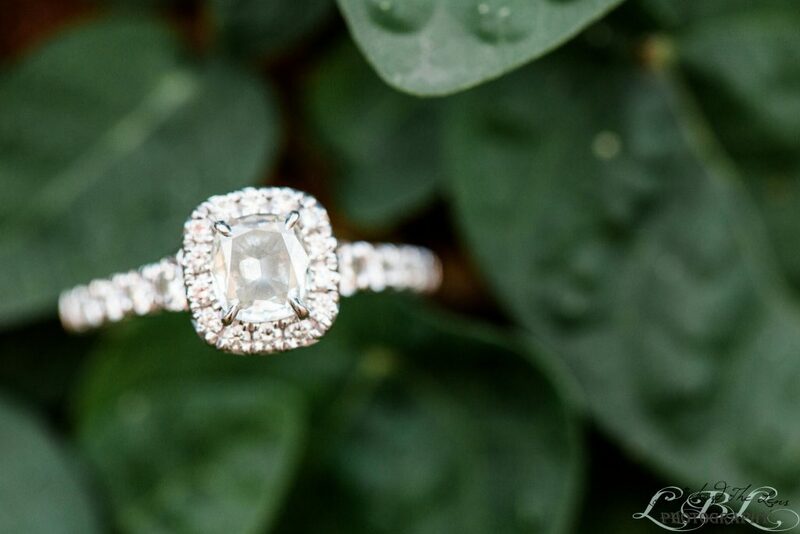 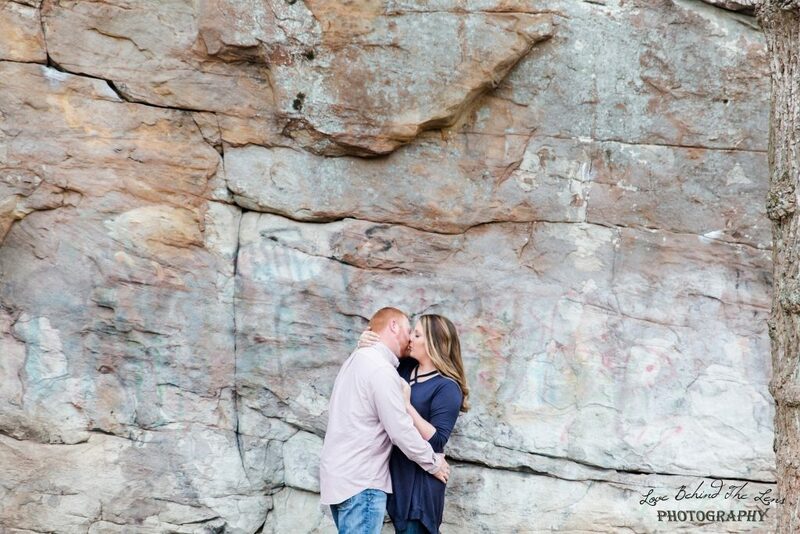 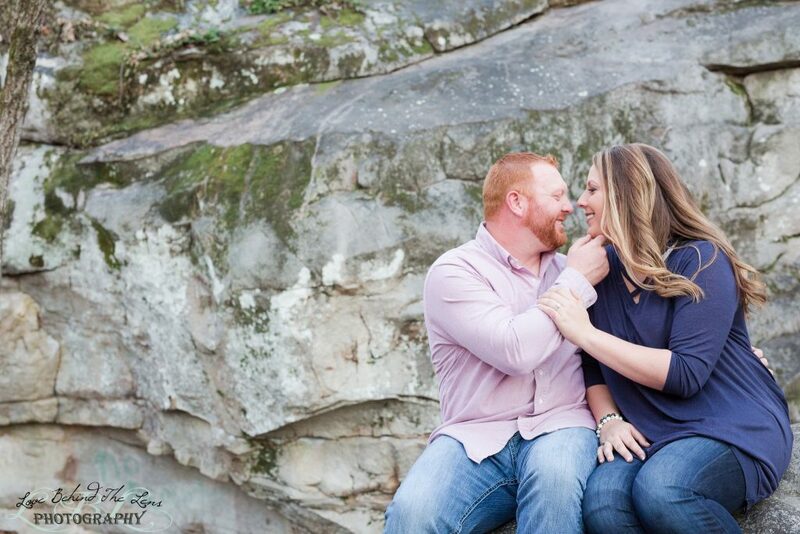 We were ever so excited when they chose Moss Rock as their engagement session location. 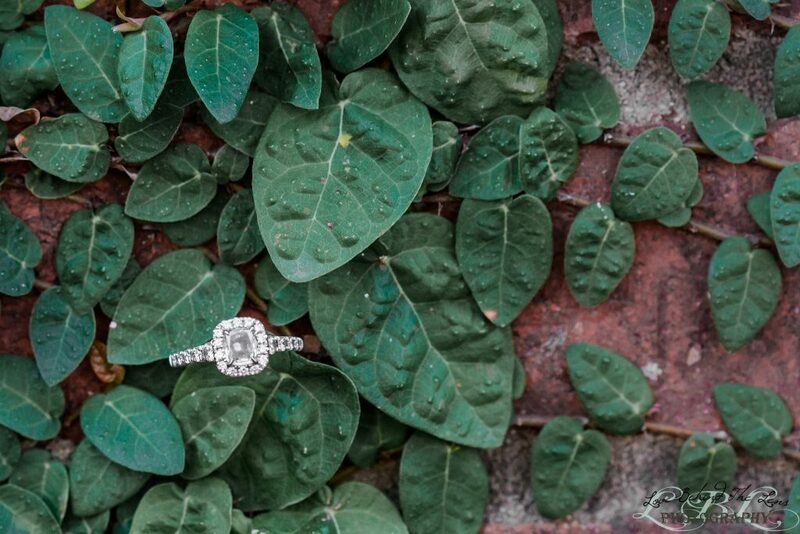 Once I sent Ashleigh some photos of Moss Rock she fell in love with it and knew it was the perfect spot for some dressy photos followed by a few adventurous photos. 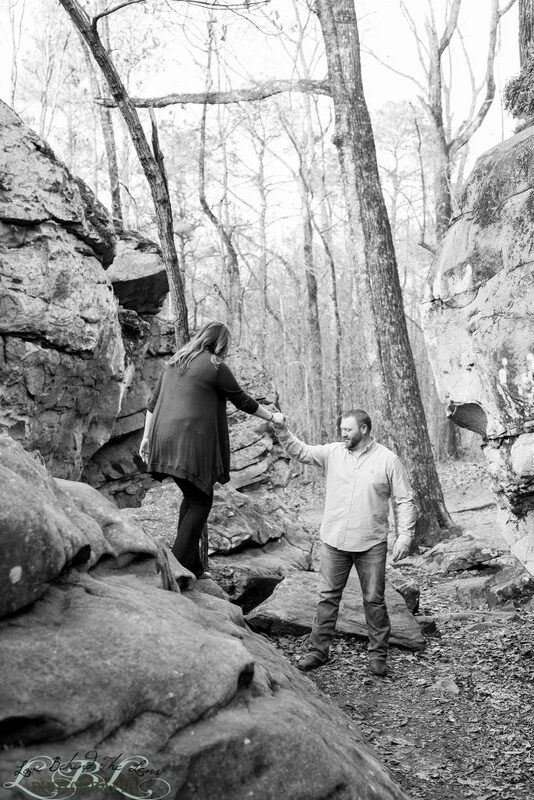 Speaking of adventurous, we are so thankful that they were adventurous and followed us on to the trails. 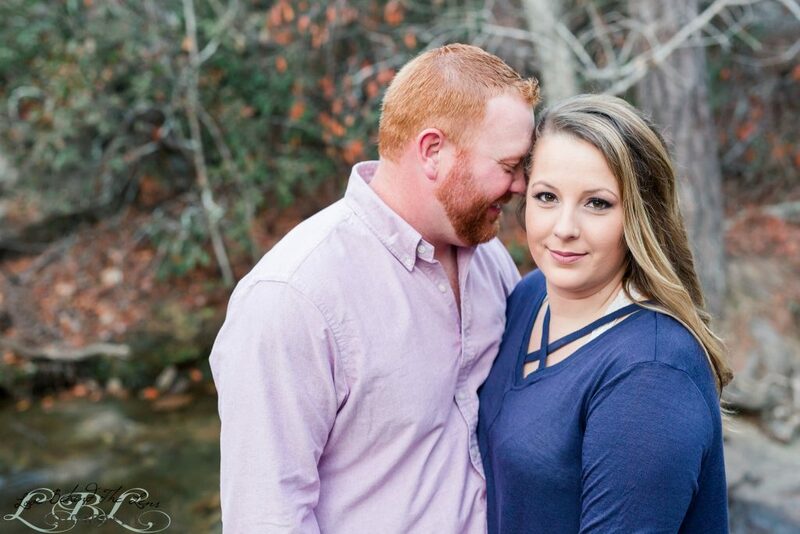 Not many couples would do that and we are loving the photos we got. 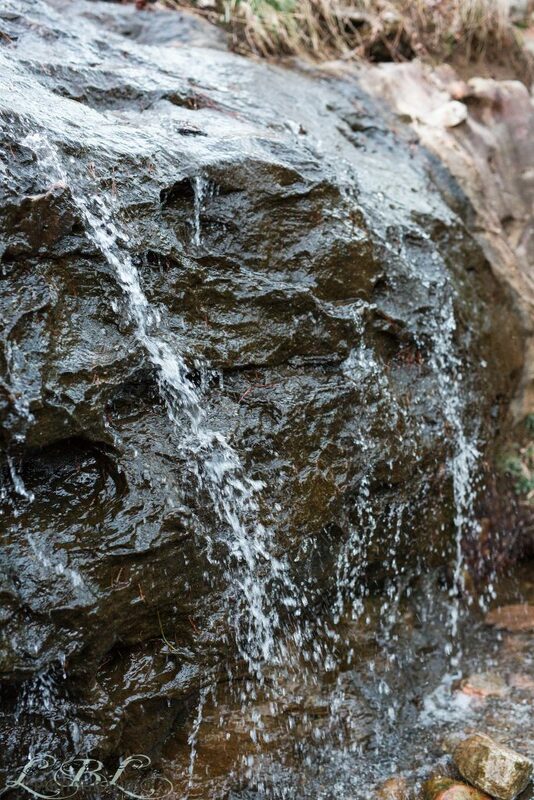 Moss Rock was calm and beautiful as usual but the beautiful 75 degree weather in February brought our so many people! 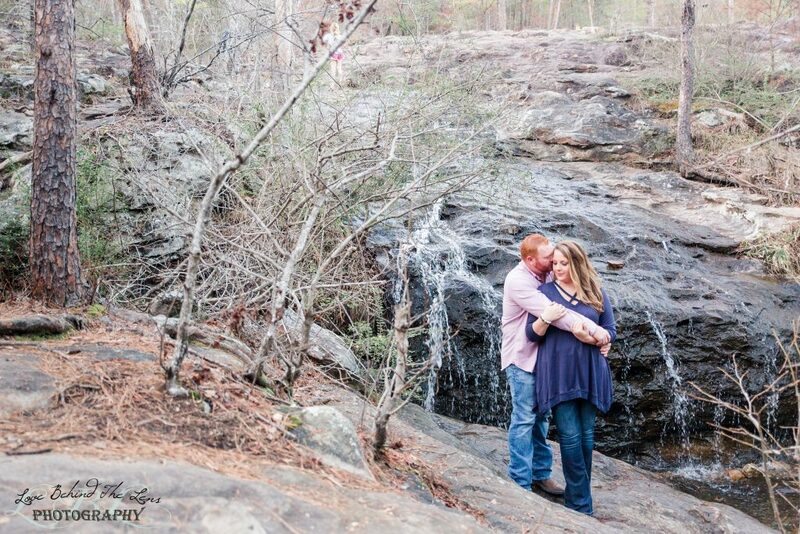 The place was covered up! 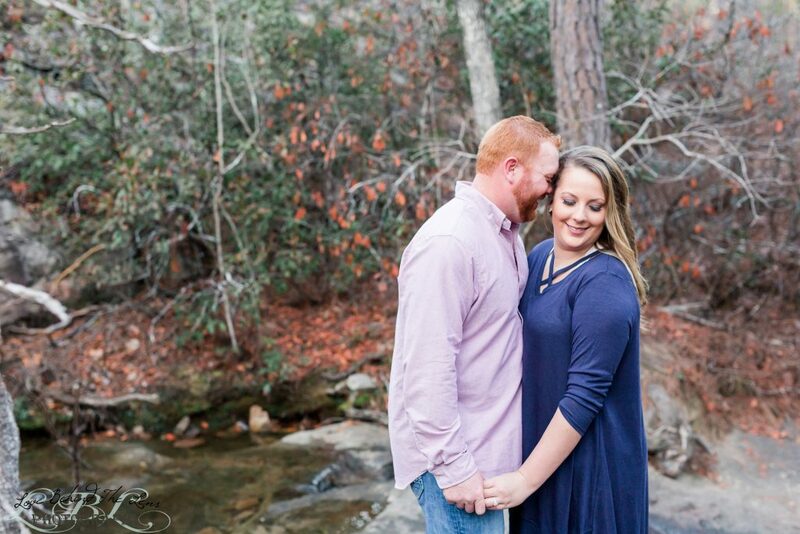 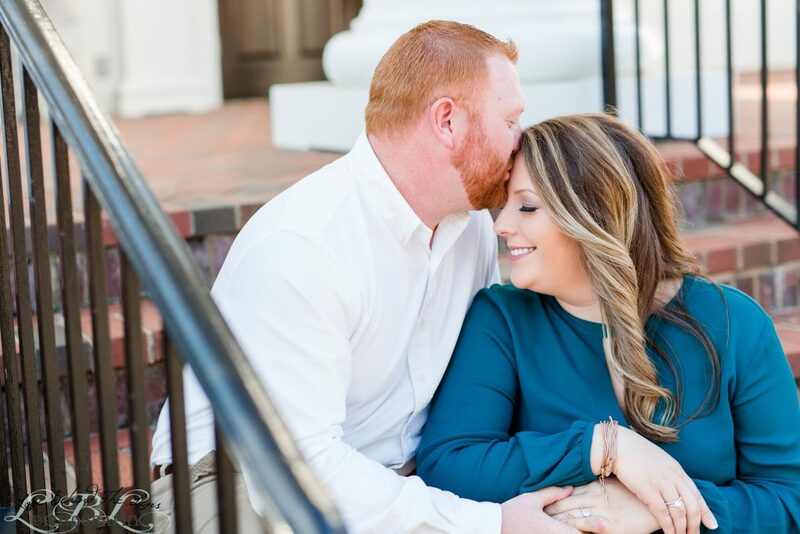 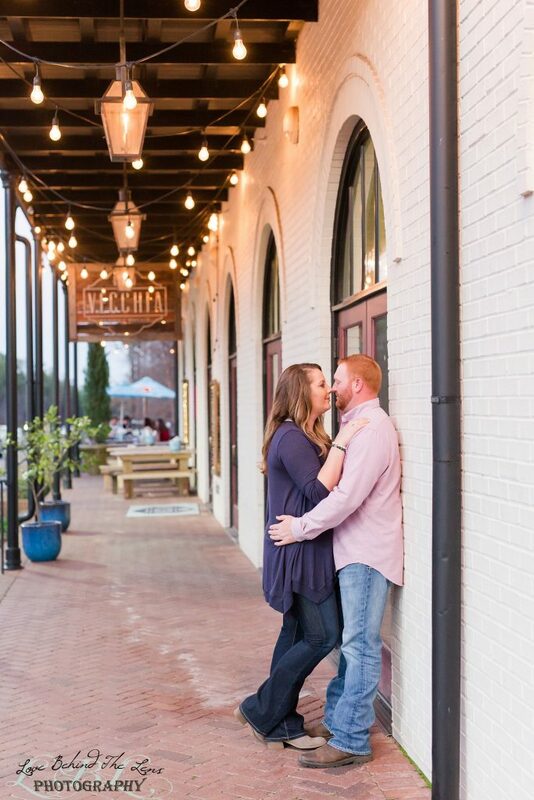 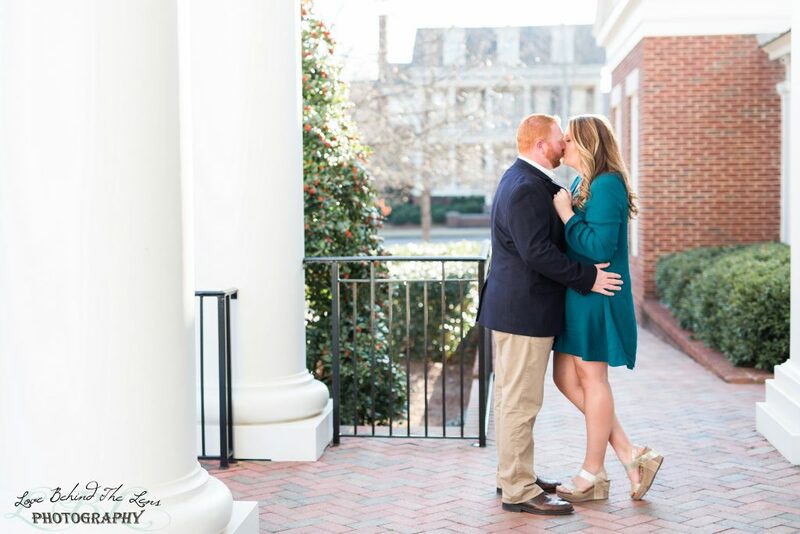 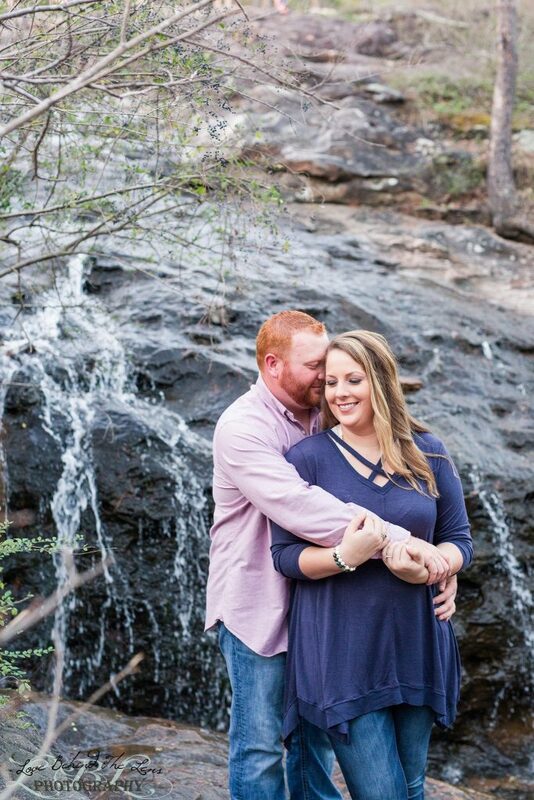 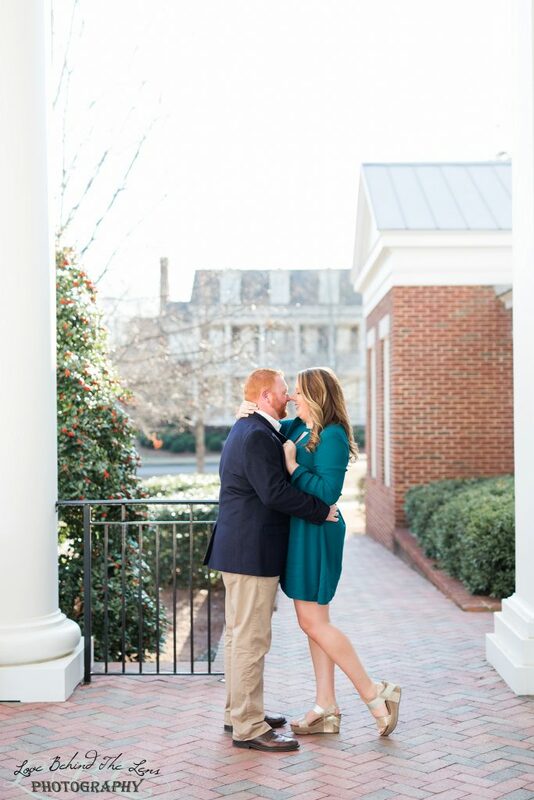 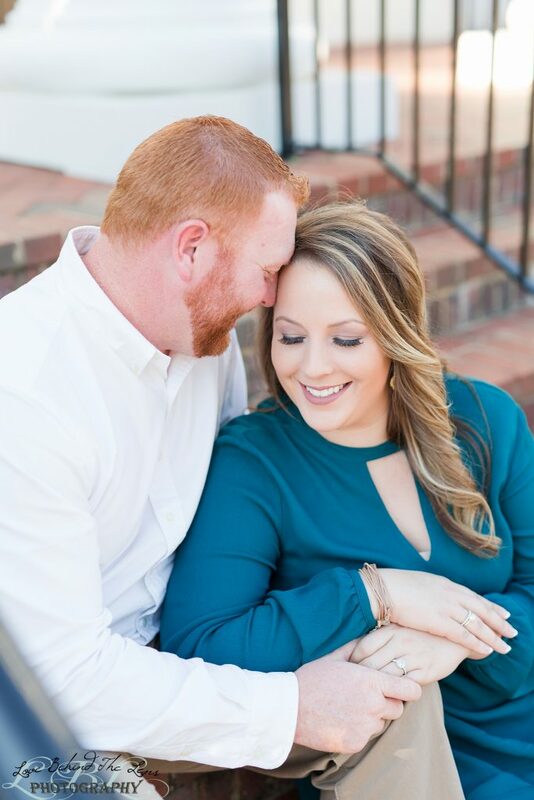 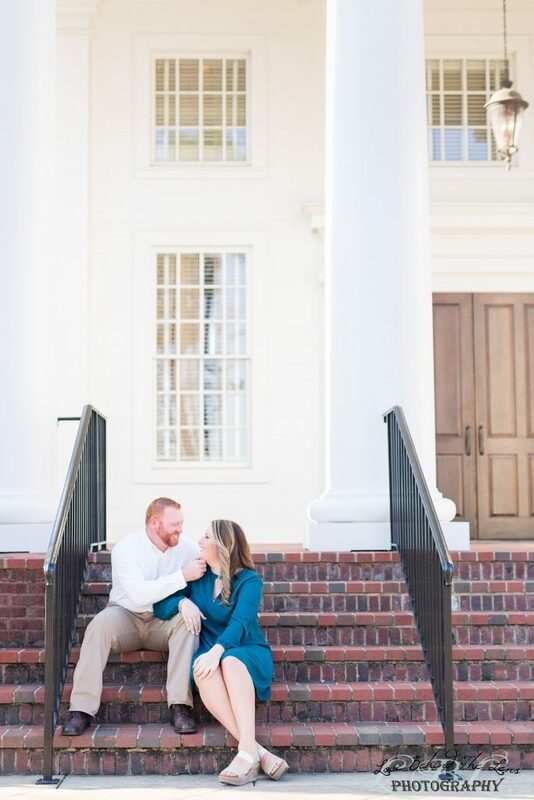 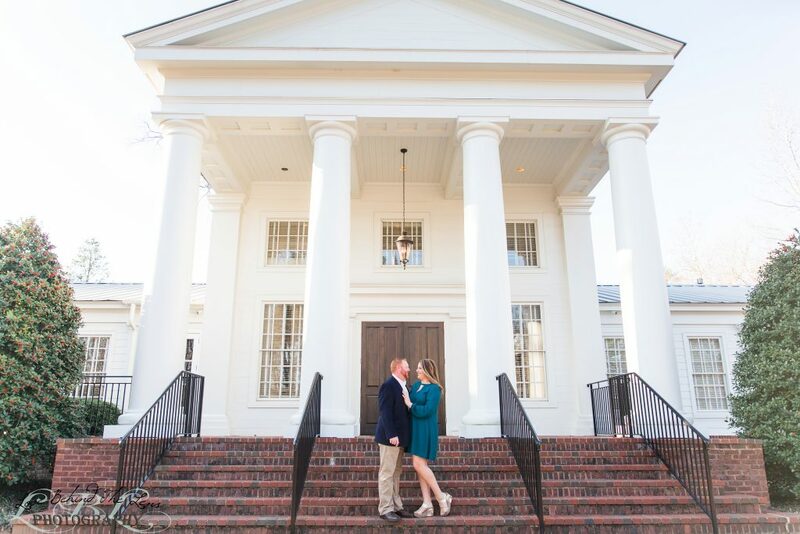 Ashleigh and TJ are getting married in December and we absolutely can’t wait for their big day. 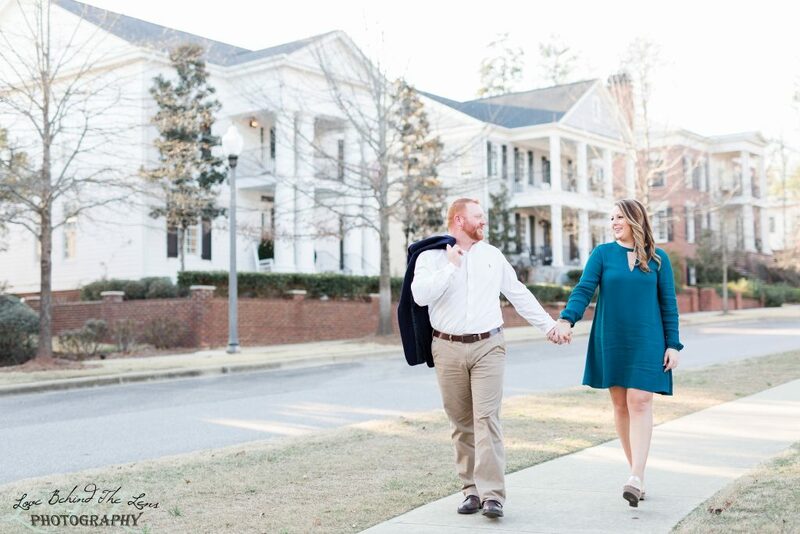 Ashleigh shared some details with us as we walked from location to location and it sounds like it will be a beautiful winter wedding! 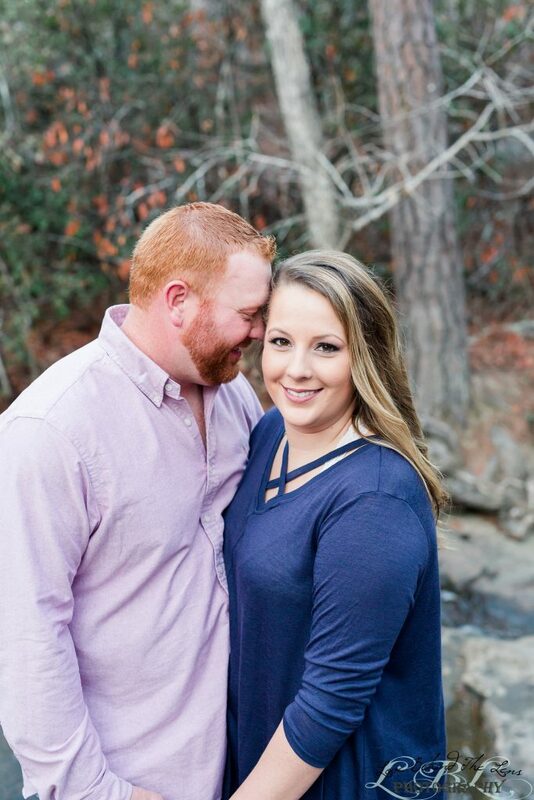 Who doesn’t love that? 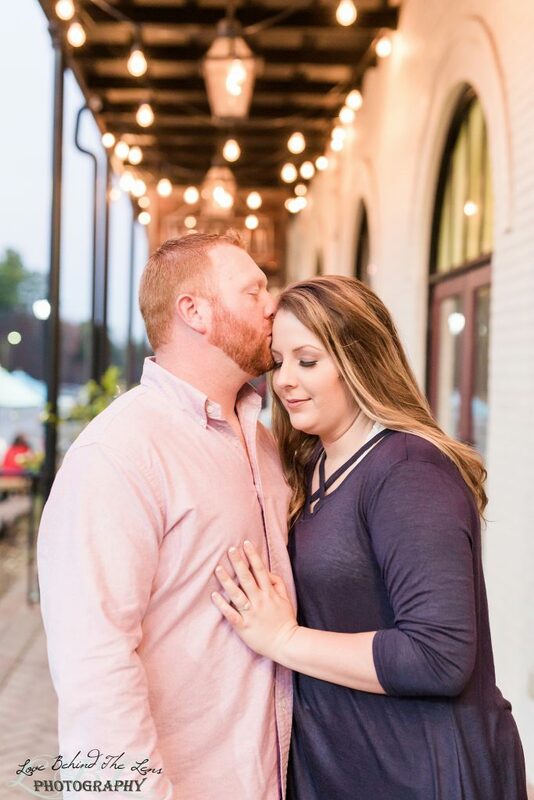 We are so happy that these two chose us and we can’t wait to get to know them more and celebrate the happiest day of their lives with them as they become husband and wife.